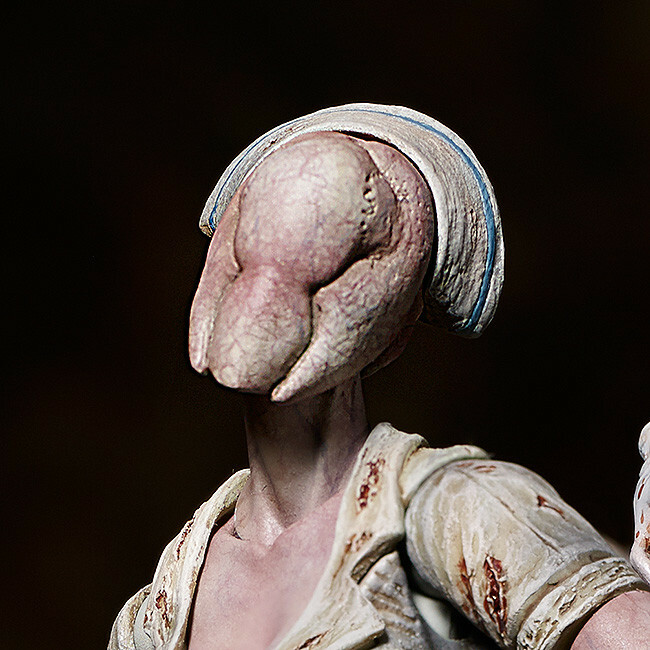 From the highly acclaimed horror game 'SILENT HILL 2' comes a figma of the Bubble Head Nurse - the sinister monster with an oddly sensual charm! 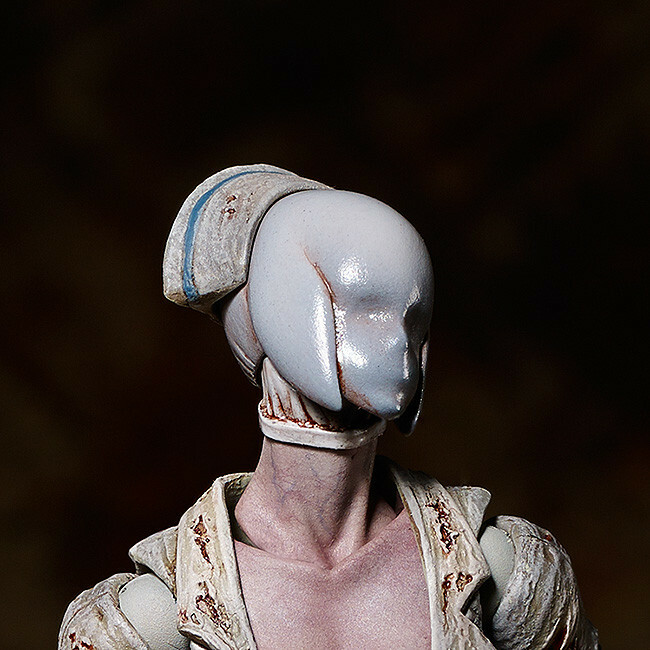 She comes with both the knife and metal pipe as weapons, as well as alternate head parts. Be sure to display her with the previously released figma Red Pyramid Thing to bring out the atmosphere of Silent Hill even more!